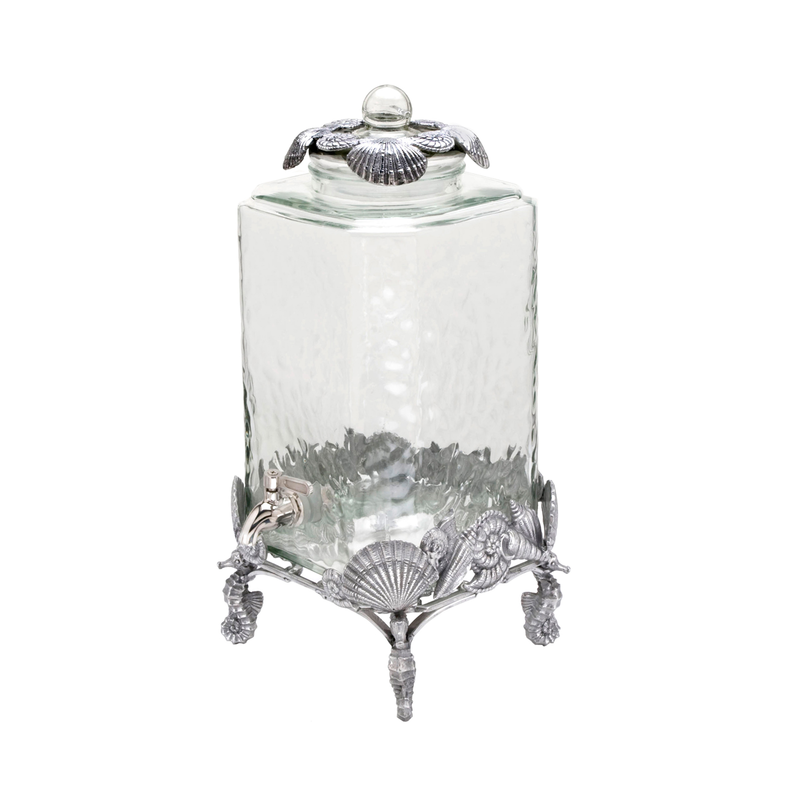 Make a statement in your dining room with the Coastal Beverage Server, adorned with seahorses and seashells on the base and seashells on the lid of the dimpled glass jar for a true coastal feel. This unique piece is designed by Arthur Court. This coastal dinnerware ships from the manufacturer. Allow 1 week. Cannot express ship. For many more pieces, we ask you to take the occasion to view our complete variety of coastal dinnerware at Bella Coastal Decor today.